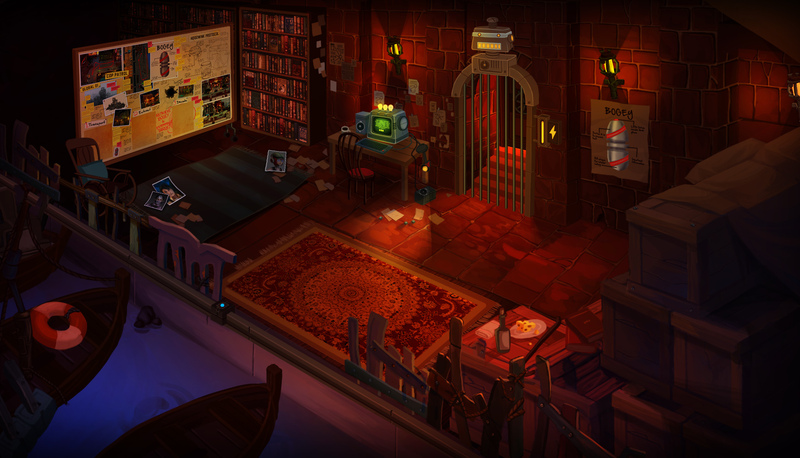 At the time, the popularity of the Telltale point and click games continues to rise. 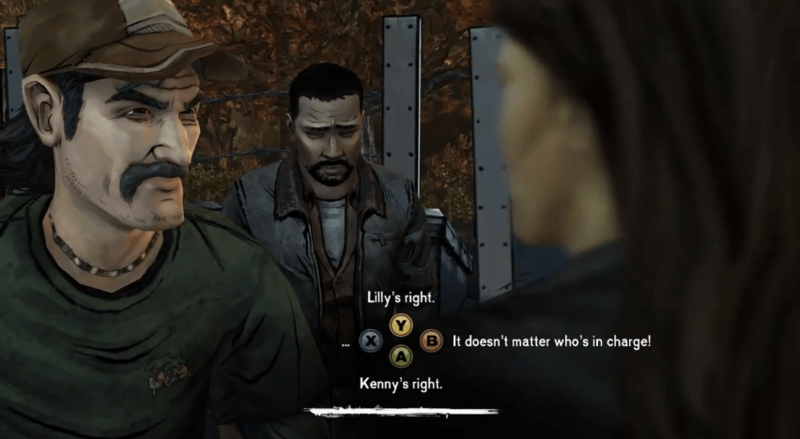 The Walking Dead Series received critical acclaim due to it’s compelling narrative and one mechanic that sparked discussions everywhere; making game-impacting decisions. In The Walking Dead, it seems like every decision you make will impact your experience. Do I save him or her? Do I give the last piece of food to the leader of the group or a starving child? Should I get mad or sympathize? A tiny note at the top left (*Clementine remembers this) reinforces your choices and will sometimes come back and bite you at the end (pun intended). We are tasked to convert the existing linear stories and puzzles into non-linear ones. While we can’t affect the arc too much and we can’t make choices affect future episodes, we decided to focus more on the puzzle solving aspect and make that part non linear instead. How you solve the puzzle can be different, but the story is always the same. Which to a certain extent, The Walking Dead applies as well. We start with the big picture and plan out specific puzzle types that we want the players to solve, which relates to where are we in the story. Each puzzle type is planned in a way that they require different actions from the player, but “balanced” overall. In short, if you lay out the puzzles side by side, they should not be quantifiable, but justifiable. So let’s say there is a math puzzle which some might find difficult, the other option could be “go to this location at the other side of the map”. These are the puzzles planned for the game. Logic based puzzles, which requires critical thinking. Traverse based puzzles which sometimes involves backtracking. Dialog based puzzles which requires going through a dialogue tree of one character. Item based puzzles which requires looking for things scattered in a closed environment. Next part is to fill in the blocks. 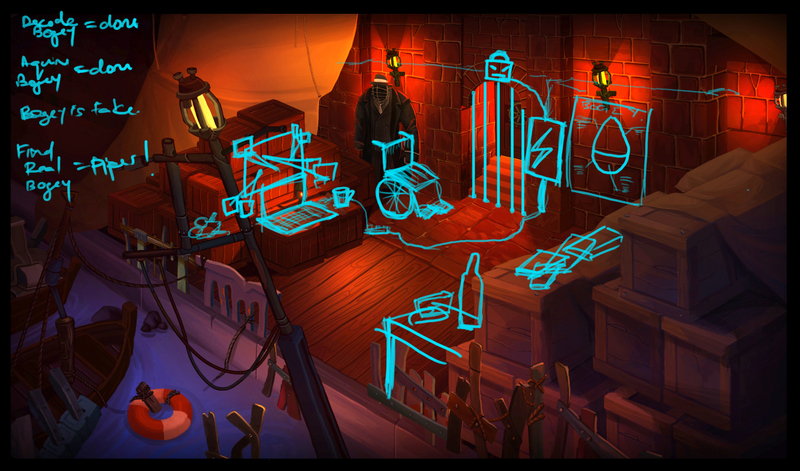 Since we already have the environments planned out, we design the puzzles around the location that we’re in. If we are at a wide open space, we try to fit in some traverse puzzles. If it’s an enclosed space, keep it item based or logic based. Sometimes we have to take an environmental prop and figure out how to make a puzzle out of it, while other times an area have to be completely redesigned to create some context for these new puzzles. Once we filled out all the blanks, we put them together for one final diagram for approval. Click here (HW2 Walktrough Diagram) for an example of the complete flow of the game. All image credit goes to Yvonne Yong.